1 Ajaw 13 Yax. Drawing by Jorge Pérez de Lara. 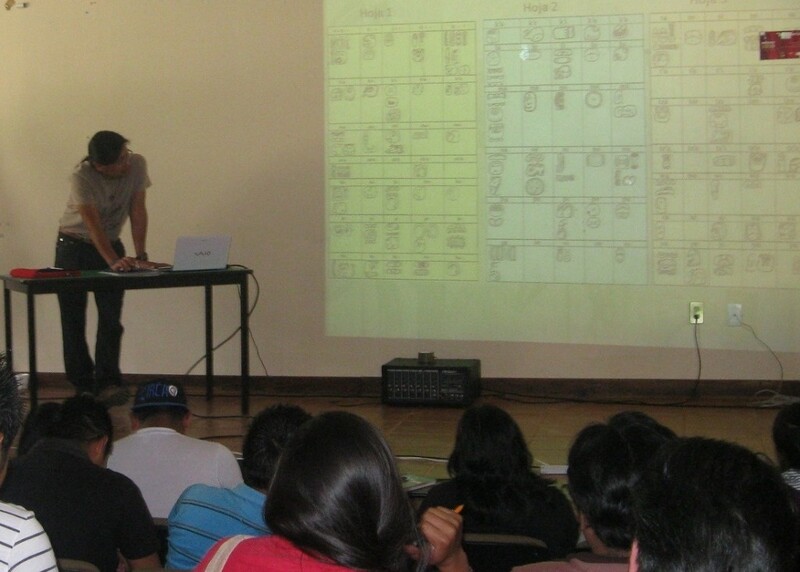 Approximately three years ago Aj Xol Ch’ok initiated conversations with a Ch’ol Maya friend with the idea of giving a workshop on Maya epigraphy for Maya students at the Intercultural University of Chiapas (UNICH), Mexico. Fortunately, this year the plans came to fruition, thanks to the leadership of that university. 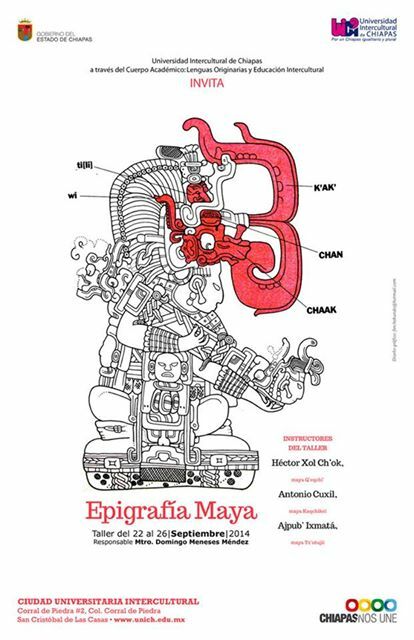 PLFM Foundation provided an interdisciplinary team to teach Maya Tz’iib’ Antiguo (as we call it) for today’s Maya, traveling to San Cristobal de las Casas to give five days of lectures, workshops, and an archaeological site visit. The following is a summary of the event. 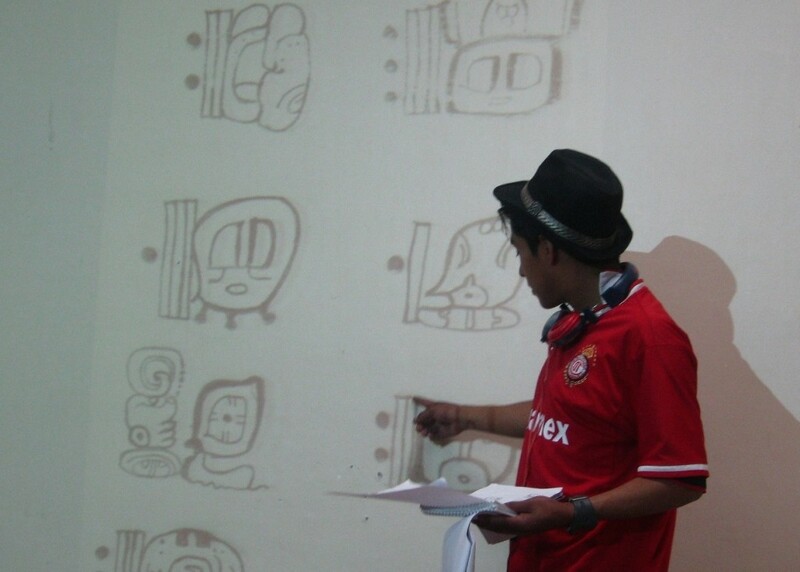 To introduce the licenciatura students of UNICH to the reading and writing of Maya Tz’iib’ (Maya hieroglyphic writing). 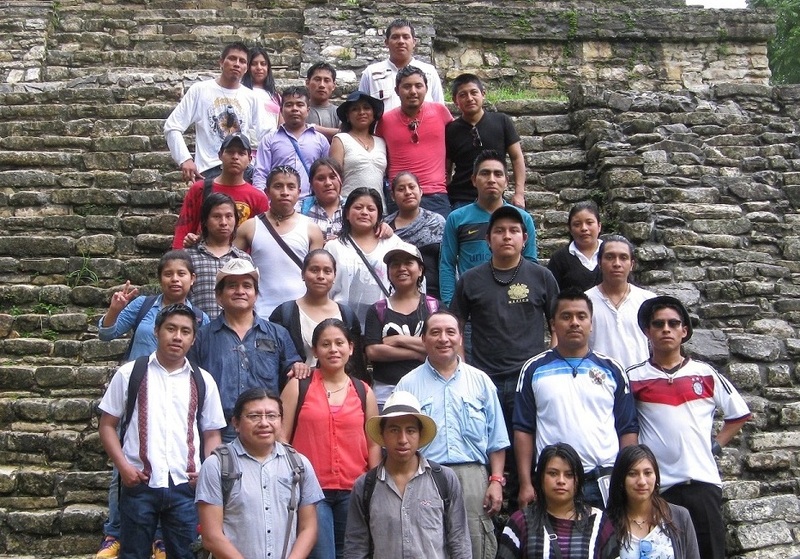 Some 30 participants registered for the workshop, lectures, and site visit to the ancient Maya city of Palenque, but counting all who attended the lectures and workshop, including those who did not go to Palenque, there were 60! Aj Xol Ch’ok, invited as principal lecturer, was in charge of the workbook, which was sent to Maestro Domingo Meneses, Ch’ol speaker and professor at the university. The inaugural remarks and welcome were given by the functionaries of the university. 1. 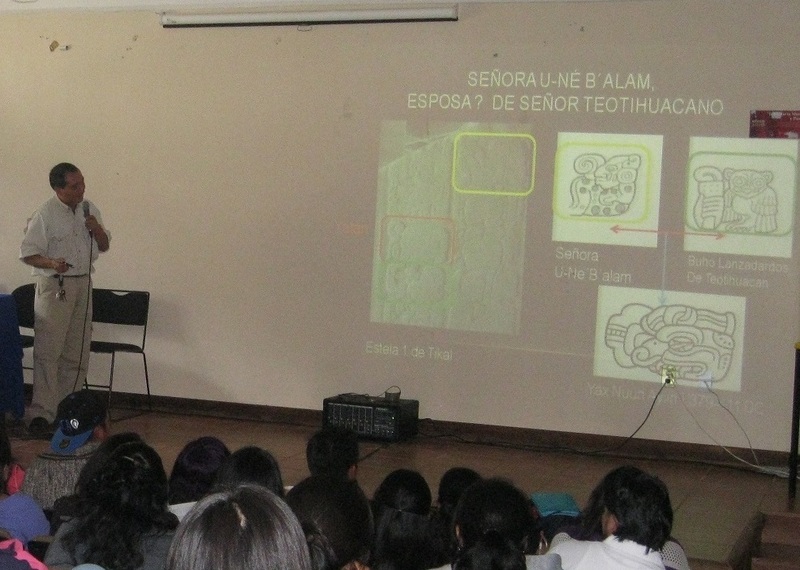 The presentation of the PLFM Foundation and its promotion of Maya epigraphy in Guatemala, given by PLFM representative Ajpub’ García Ixmatá. 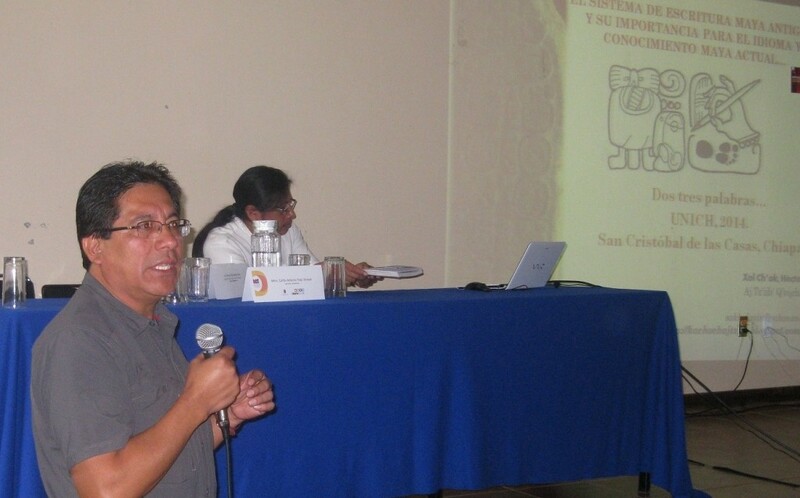 Talk given by Ajpub’ García Ixmatá. 2. 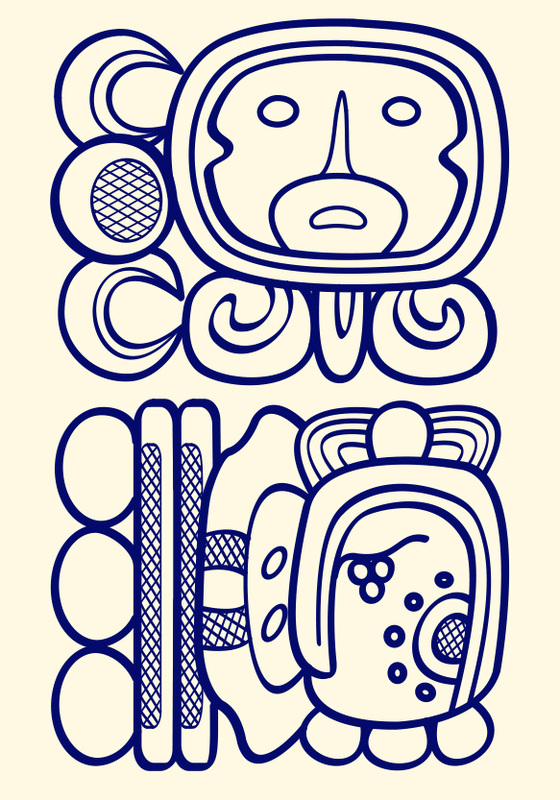 The nature of Maya writing given by Aj Xol Ch’ok. 3. Women in Classic Maya history, given by Antonio Cuxil. Antonio Cuxil giving a lecture. Aj Xol Ch’ok explaining the syllabary. General notions regarding Mesoamerica, Maya languages, ancient cities, periods of Maya history, among others. Basic knowledge of the parts that make up a text: calendar, verbs, subjects, etc. 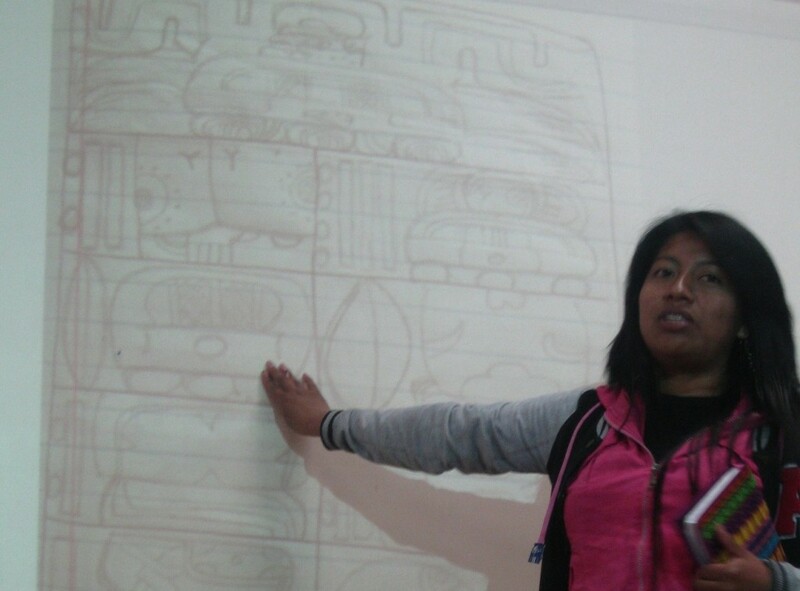 The last day the students presented examples of their birth dates and other results of their exercises. Student explaining the Long Count. Student presenting his class exercise. 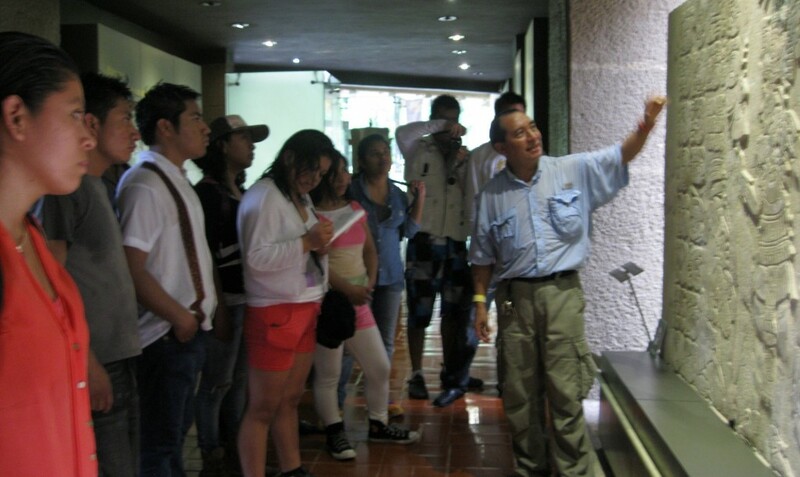 Antonio Cuxil was the guide for the field trip to Palenque and the site museum. Friday, September 26, we made the field trip, which was highly anticipated by the students. We left at 5:30 AM, arriving at Palenque at noon. Immediately we made the tour finishing at 4:00 PM, followed by our return to San Cristobal de las Casas. During the visit to Palenque, the tomb of Temple XIII and the tomb of the Red Queen, wife of Pakal the Great, was visited. Antonio spoke of various aspects of the life of these two people, and also their sons. We passed in front of the Temple of the Inscriptions, after which we visited the two patios of the Palace, speaking of the inscriptions there, followed by a visit to the Cross Group. Group of students, teachers, and team PLFM at Palenque, at the Cross Group. Our guide spoke of K’an B’ahlam II who was son of Pakal. Then we took a walk to the Bat Group and the waterfalls, and finished with a visit to the site museum where we saw various examples of inscriptions, incensarios, the replica of the tomb of Pakal the Great, and the model representing the Palace at its height. Visit to site museum, Palenque. On September 27, 2014, the PLFM team returned to Guatemala, leaving at 6:30 AM from San Cristobal de las Casas. At the urging of Aj Xol Ch’ok, we made a visit to the site of Tenam Puente, near the city of Comitán, finally arriving in Guatemala City at 9:30 PM. We thank the PLFM Foundation for supporting us with a vehicle for transportation to Chiapas and back, as well as allowing for one of the Board of Directors to travel with us, Ajpub’ García Ixmatá. We also thank MAM for their great economic support covering basic expenses allowing for a successful workshop. 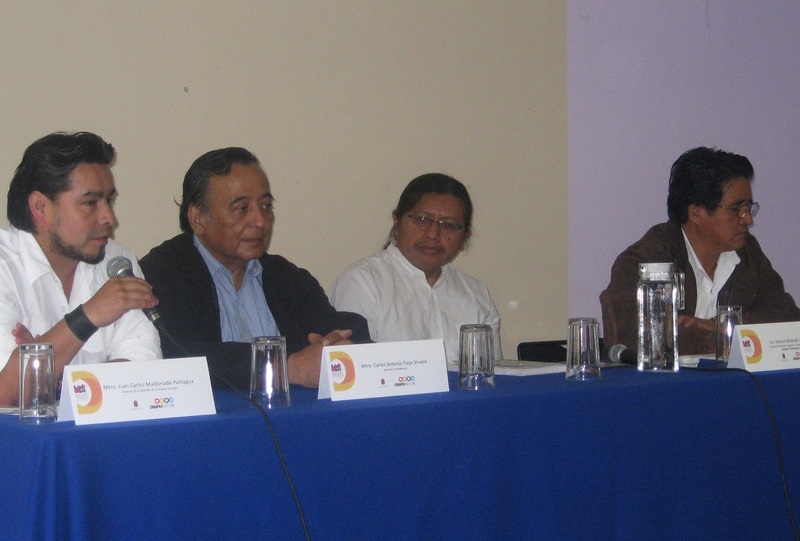 We accomplished the crossing of borders to initiate an exchange of experiences with our Maya brothers and sisters of Chiapas, especially Maya speakers of Ch’ol, Tzeltal, Tzotzil and Tojolab’al, as well as Spanish speakers who are learning Mayan at the university. 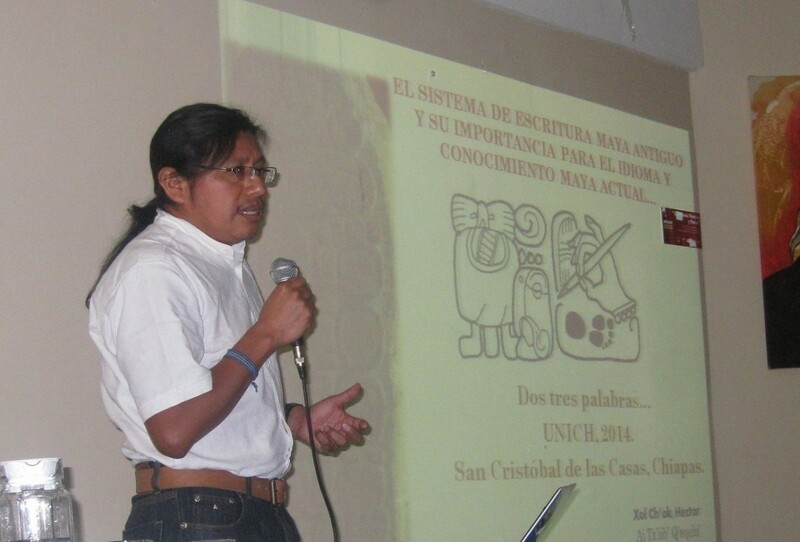 We initiated contact with functionaries at UNICH, investigating the possibilities of follow-up activities to develop and strengthen a program of Maya language and culture. We advanced the teamwork and coordination between PLFM and MAM in developing workshops not only nationally but internationally. It was a great experience, with very interested and enthusiastic students. We, as Team PLFM, were very happy to have extended our reach beyond our own borders, and the university and its students are waiting for a follow-up to this activity. Thank you to PLFM, to MAM, and to everyone involved.